Nayantara one of the top heroine in Kollywood recently gave fabulous performances in Naanum Rowdy Dhaan and Thani Oruvan. Now, the actress has been roped in once again by the Thani Oruvan director, Mohan Raja, for his next film. 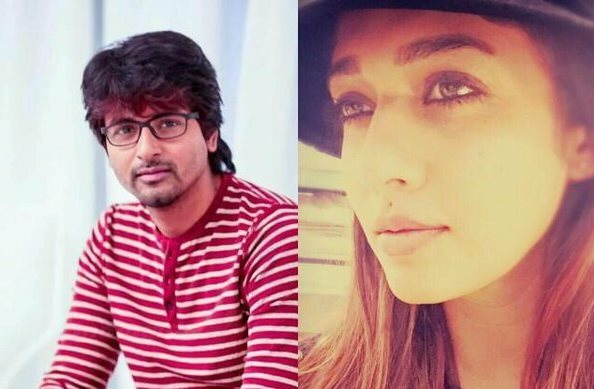 This movie will star Sivakarthikeyan in the lead role and Nayan will play the female lead opposite him. RD Raja of 24AM studios will bankroll this project which will go on floors soon. The pooja of the film, directed by Mohan Raja was held on March 10. Now the production revealed the details about the leading lady recently through their micro-blogging page. The team posted, "Proud&happy to announce #Nayanthara joins with @Siva_Kartikeyan @jayam_mohanraja @24AMSTUDIOS for our Production No:2." Interestingly, Nayanthara had made a special appearance In Sivakarthikeyan's Ethir Neechal, in which made a special appearance in a song. Sivakarthikeyan's last outing Rajini Murugan had a commendable run at the box office and received decent reviews from the critics. Almost all of Siva's previous ventures have had a considerable commercial success, which has made the actor a safe bet for producers. On the other hand, Nayanthara is currently the much-sought-after heroine of Tamil film industry. Her recent films Naanum Rowdy Dhaan and Thani Oruvan gained her good accolades for her performances, and this film marks her second coalition with Mohan Raja. Similarly, director Mohan Raja has redefined himself with his last film Thani Oruvan, which had Jayam Ravi and Arvind Swami in the lead roles. Now, all eyes are on the director and the expectation level for this upcoming film is already high. The rest of the cast and crew of the film are yet to be decided by Mohan Raja. And the makers have kept the story of the film under wraps.